The term ‘legend’ in not one I use very often to describe people but every now and then someone comes along who is thoroughly deserving of such a description. 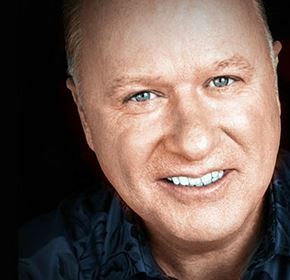 It wasn’t the fact that Tony Fenton’s voice has been a fundamental component of Irish Radio for as long as I can remember, including through my teenage years when music was my world. Nor is it the way he followed into my grown up world, there on Today FM during the baby years, the stay-at-home Mum years, there while I picked the kids up from school or sat with them while they did their homework, or as background to my frantic juggling of home and study during a mid-life career change that involved a fairly intense return to education. These things would have been enough to make me stop in my tracks and feel a little sad on the news that he had died. But what made Tony Fenton a legend was what he did quietly, behind the scenes. Tony was diagnosed with prostate cancer three years ago. After his successful treatment and return to radio he gave a few very open and frank interviews about his experience, including the way in which he refused to wait for treatment in Ireland but instead travelled to Germany for an operation to have the cancer removed. He talked about the need for men to take control of their health, about the importance of getting checked out at the first sign that something was wrong, about being pro-active when it came to treatment choices and being a part of the decision-making process. In those few years between his initial illness and the cancer that ultimately took his life, he inspired many men to seek help. Countless stories have emerged during the last few years of men who heard Tony interviewed and emailed him to say that it was he who had pushed them to get help. He replied to each and every one of them, giving them contact details for various clinics and organisations and being a constant support and positive voice during their treatment. One of his Today FM colleagues said he did this for countless men who he had never met before. Listening to his old friend and long-time colleague Ian Dempsey talk about him at lunchtime today, it was clear that this generosity and positivity was not limited to Tony’s cancer experience. It was just the kind of guy he was, the guy who kept his head in a crisis, who helped everyone around him to keep things in perspective when everything looked bleak. I started this post saying it is not often I describe someone in the public eye as a legend. I add that it is not often I shed a tear or two at the passing of someone I never knew. But this has touched me more deeply than I expected, and judging by the reaction on social media it has touched many people around the country in the same way. RIP Tony. Thank you for the music, for the honesty, for the humility and for the gift of getting at least some of our men to talk a little bit more about their health. This entry was posted in music, Non-fiction and tagged Tony Fenton. Bookmark the permalink.